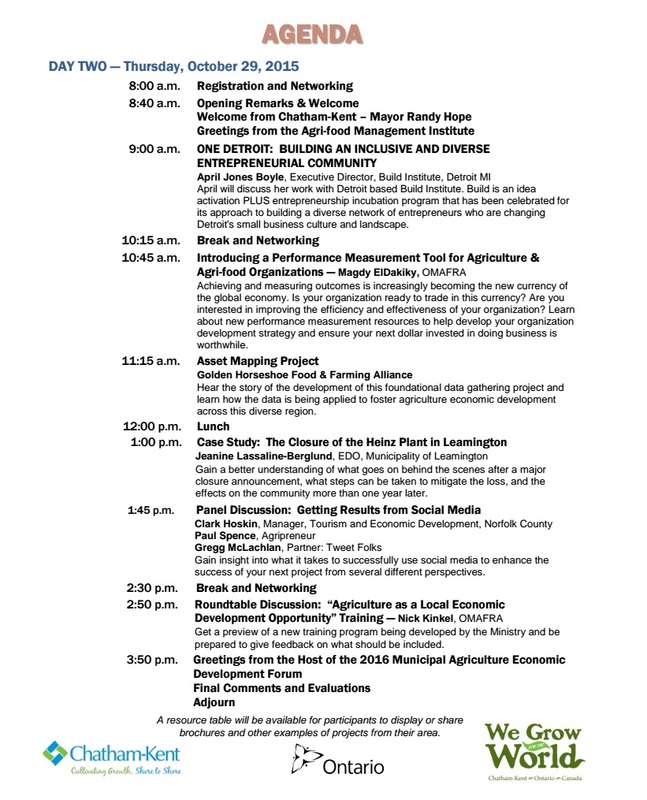 2015 Municipal Agriculture Economic Development Forum | Chatham-Kent Agriculture Development | We Grow For the World! 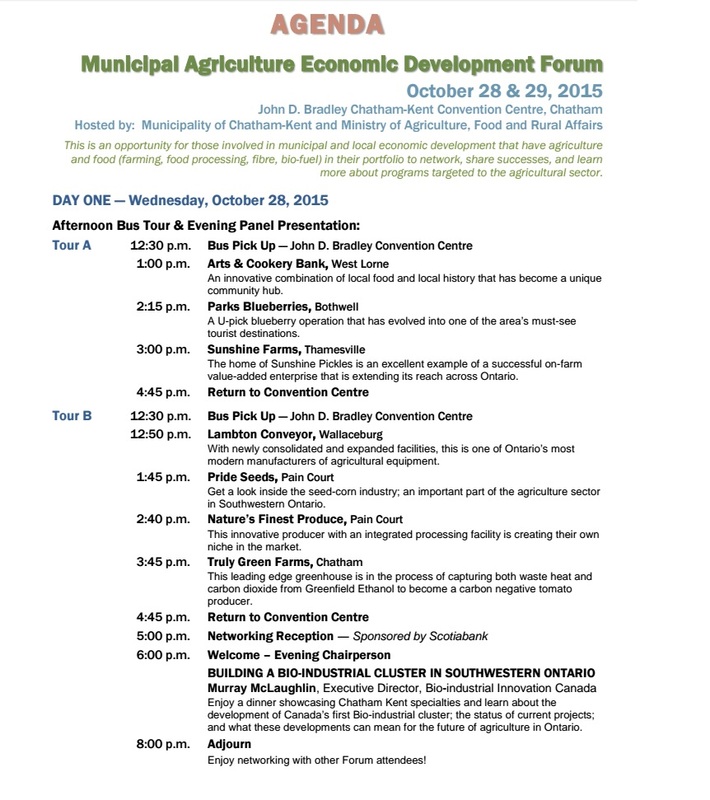 On Wednesday and Thursday, October 28 and 29, Chatham-Kent will host the annual Municipal Agriculture Economic Development Forum at the John D. Bradley Chatham-Kent Convention Centre. This is the first time Chatham-Kent has hosted this event. This is an opportunity for those involved in municipal and local economic development that have agriculture and food (farming, processing, fibre, bio-fuel) in their portfolio to network, share successes, and learn more about programs targeted to the agriculture sector. On the afternoon of October 28, we are having two separate bus tours to various agri producers and agri businesses in our area, followed by a banquet that evening feature all locally grown and raised food products. The second day features a number of speakers who will address the delegates on economic development issues with a slant towards the agricultural sector. We are expecting approximately 100 people from across Ontario to attend. Everyone is invited to attend any or all of the events of this forum. 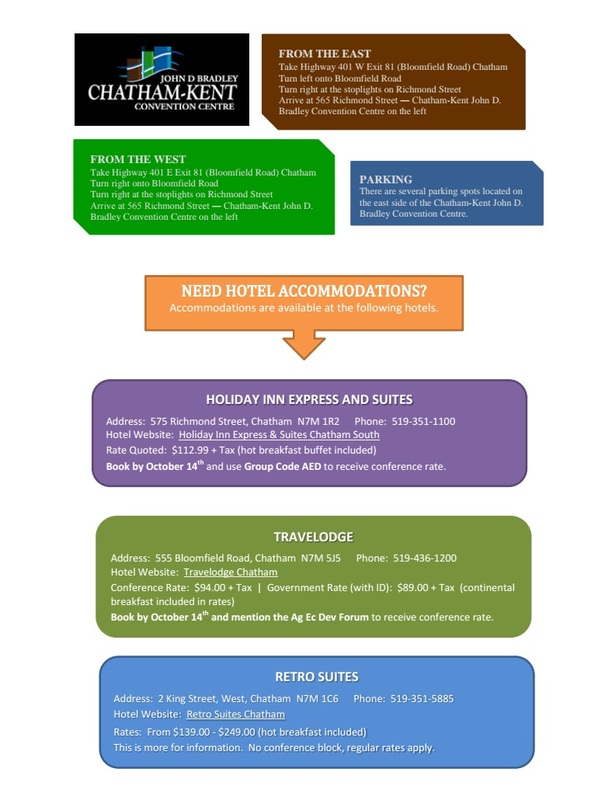 Attached are two documents, one being the agenda and registration details, and the second being a more detailed agenda. Mayor Hope will be bringing greetings from the Municipality of Chatham-Kent as we begin the proceedings on the second day. 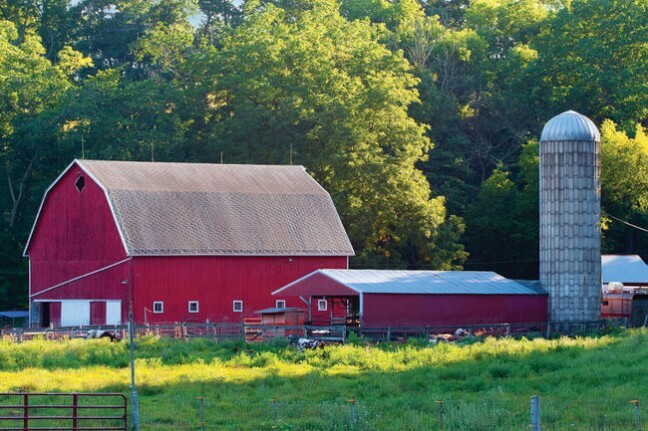 This forum has been developed with the support of many departments within the Municipality of Chatham-Kent, including our Public Health Unit, Planning Services, and Economic Development Services, along with our partners with the Ontario Ministry of Agriculture, Food and Rural Affairs.